UKRAINE’S $1OO BILLION QUESTION: WHY THE ISSUE OF FARMLAND SALES SO TOXIC? Ukraine is an agricultural paradise. It possesses a staggering one-third of the world’s ultra-fertile black soil (“chernozem”) and enjoys a reputation as one of the most farming-friendly countries on the planet. Even the Ukrainian flag, with its depiction of golden crops under a blue sky, is an ode to this ancient agrarian heritage. Meanwhile, Ukraine’s strategic location at the crossroads of Eurasia offers relatively easy access to the markets of Europe, the Middle East, Africa and Asia. Despite this immense agribusiness potential, Ukraine remains one of only six countries globally (along with Cuba, Venezuela, Tajikistan, Congo and North Korea), where owners of agricultural land are not entitled to dispose of it. Ukraine’s moratorium on farmland sales has been in place for 16 years. From a purely legal standpoint, this moratorium contradicts the very essence of ownership rights. As many as seven million citizens of Ukraine, who own 28 million hectares of farmland plots, do not currently have the right to dispose of their property as they see fit. The moratorium also undermines Ukraine’s position in well-respected world rankings that consider private property protection as one of the foundations of economic freedom. For example, according to the Heritage Foundation’s 2018 Index of Economic Freedom, Ukraine received just 41 out of 100 points for property rights protection. Nevertheless, the chances of lifting the moratorium before the end of 2018 are alarmingly low. One of the key factors preventing land sale reform is the lack of awareness among both state authorities and landowners about the potential benefits of a free farmland market. Negative public perceptions of land sale reform are also a major obstacle to progress on the issue. These perception problems are largely the result of aggressive media campaigns by populist political parties who promote the moratorium by playing on Ukrainian society’s timeless agrarian traditions and deep ties to the land. The populist potency of the issue means support for land reform is politically dangerous and unlikely to be forthcoming until fast-approaching presidential and parliamentary elections are out of the way in late 2019. To an external observer, it might be difficult to comprehend why the majority of Ukrainians would support the idea of denying themselves the right to dispose of their own land as they choose. This situation did not arise without some prompting. Populist forces, with backing from numerous somewhat dubious associations of small and medium farmers, have invested enormous resources into the promotion of a number of simplistic but very persuasive myths designed to make land reform daunting for landowners and risky for politicians who might otherwise support it. The most resonant myth is the claim that Ukrainian farmland will be massively purchased by foreigners. This plays on fears for the future development of Ukraine’s agricultural sector while stirring up painful historical memories of unwelcome past foreign influence. In reality, no financial entity, either local or international, has sufficient liquidity to purchase land in such vast volumes. Moreover, according to a recent comprehensive study of land reform in sixty countries conducted by the EasyBusiness think tank, only about 20% of agricultural lands underwent sale following the abolition of land sale moratoriums in the former Warsaw Pact countries of Central and Eastern Europe. The other 80% of landowners who did not sell their land continued farming and were able to benefit from bank loans by using their newly sellable assets as collateral. One broadly believed myth is that the livelihood of the average farmland owner would decrease because of low market prices for farmland. However, according to information provided by the State Statistics Service of Ukraine, the average rental cost of one hectare of agricultural land per year is as little as UAH 1,369. This is noteworthy as lower quality land in neighboring countries generates rental fees many times higher. In reality, the main reason why Ukrainian landowners do not currently receive an appropriate income is low rental prices caused by the absence of free agricultural land circulation. Another questionable concern is the idea that the abolition of the moratorium would deprive farmers of a stable income. First of all, it is worth noting that UAH 900 per hectare annually, which is the average amount landowners in rural areas of Ukraine receive, in no way reflects the actual value of the land itself. For example, comparative rates in Western Europe currently range from USD 150 to USD 700, or approximately four to twenty times the average rate in Ukraine. The abolition of the moratorium would allow for the emergence of a land market based on realistic asset evaluation, leading to the establishment of sound market prices for rent. Farmers would be able to rent out their land plots at adequate market prices, thus making the rent of land their actual source of income without necessarily deciding to sell up. Despite the obvious effectiveness of these myths in distorting public understanding of the land sale issue, the economic data paints a persuasive picture. A survey conducted by EasyBusiness indicates that a fully liberalized market would be the most economically effective model for Ukraine and could generate additional GDP of USD 10 billon annually or USD 100 billion over the next 10 years. The end of the moratorium would lead to a surge in interest from both foreign investors and local SMEs. It would drive positive mid- and long-term price prospects for Ukraine’s farmland assets, which remain undervalued due to the moratorium. The land reform issue is politically explosive, but it is not short of well-placed political supporters. The Cabinet of Ministers, the Ministry of Agricultural Policy and Food, and the Ministry of Finance all support the opening of the farmland market in Ukraine and made efforts to enable progress in 2016-2017 when the issue was still high on the political agenda. Strong support for reform also comes from international organizations including the IMF and the World Bank. The pool of MPs publicly supporting abolition of the moratorium is growing, rising from just three MPs in 2015 to seven in 2016 and sixty-six in 2017. However, this level of parliamentary support remains far from sufficient, while the dominant consensus among MPs is to retain the moratorium. Opposition to reform is strong among farmers interested in retaining cheap land rental rates. 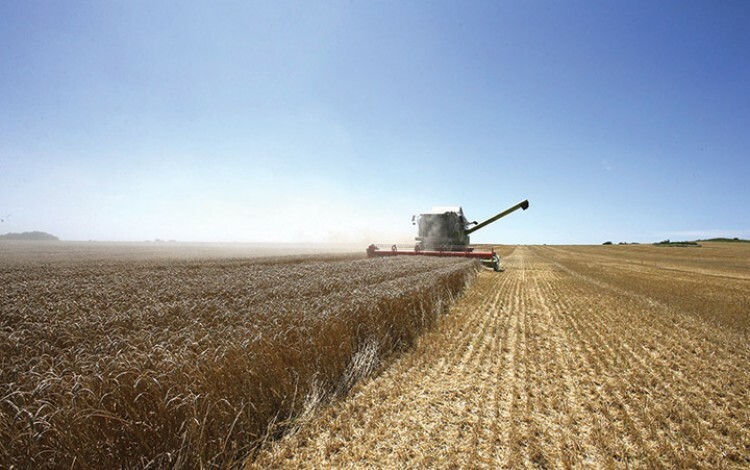 Additionally, despite the widespread notion that agricultural holdings are the only beneficiaries of any prospective future land sales, a number of Ukrainian agribusiness holdings do not actually support the reform. This primarily relates to those businesses that have not yet accumulated sufficient capital to buy out the plots they are renting and those who produce low-margin and low added value agricultural commodities. Due to the efforts of the Cabinet of Ministers, international institutions, the expert community and MPs, the debate around the moratorium has moved forward in recent years from discussion of whether Ukraine needs a land market to talk of market alternatives and its preferable models. Nevertheless, there is no sign of concrete progress. In 2017, the IMF made adoption of the respective draft law on abolition of the moratorium a condition for continued support, but President Poroshenko was able to have the issue removed from the memorandum for the disbursement of the IMF’s next tranche. It is not clear how this came about, but many attribute it to the lack of progress surrounding the establishment of an anti-corruption court and the need to prioritize this anti-corruption issue above all others. Instead of cancelling the moratorium, the Ukrainian parliament voted in December 2017 to prolong the ban on farmland sales until 2019. Even this was not enough for some political factions. For example, Yulia Tymoshenko’s Bloc sought an extension until 2023. Legislative proposals have long been prepared. 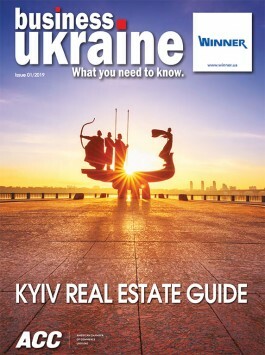 The latest available version of the most discussed parliamentary model states that foreign citizens can only inherit land, while Ukrainian nationals are restricted to purchases of up to 200 hectares. Alternatively, the latest available government model envisages the sale of up to 500 hectares to Ukrainian nationals and grants foreigners the right to buy agricultural land starting in 2030. Both models envisage strong restrictions for legal entities. While these models can serve as a good basis for further discussion, most experts and a number of MPs believe there is room for considerable improvement. It is important to remember that Ukraine’s present moratorium was originally a temporary measure introduced until the adoption of suitable land sale legislation. Sixteen years later, we are still hearing that Ukraine is “not ready”. This argument, however, only benefits those interested in maintaining the status quo. With populism increasingly dominating the Ukrainian pre-election agenda, no party is likely to risk political suicide by taking the lead in something as misunderstood and volatile as the land sale issue. However, now may be the time to engage in a major public communication campaign in anticipation of renewed parliamentary engagement following the coming election cycle. At present, the sale of farmland is arguably the most misinterpreted and politically toxic item on the entire reform agenda. The government, civil society and Ukraine’s international partners should now seek to close this information gap. Rather than waiting for a new window of legislative opportunity to open following elections in 2019, preparations should begin now to lay the groundwork for reform once the political environment is more favorable. Introducing agricultural land sales in Ukraine would be a truly historic step with major implications for the country’s economy, but it will require equally historic efforts if populist opposition is to be overcome. About the authors: Olena Prokopenko (@O_Prokopenko_IR) is Head of International Relations at Reanimation Package of Reforms, Ukraine’s largest civil society coalition uniting 83 NGOs and over 300 experts. Dmytro Lyvch is Head of Analytics and Project Manager at EasyBusiness think tank.